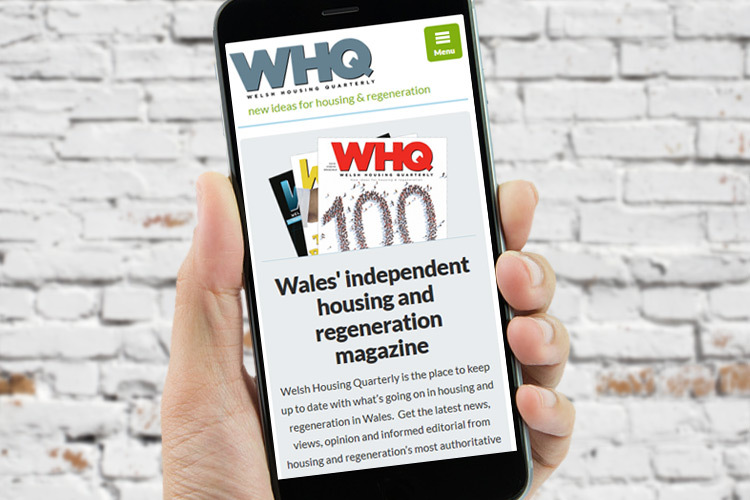 WHQ is a website that brings together all the latest news and ideas on housing and regeneration in Wales. There is also a quarterly, hardcopy magazine, and one of the aims of the website is to help encourage the audience to subscribe to it. The client had a very old website, created in antiquated technology which badly needed updating to meet the needs of the WHQ audience and to be brought up to modern, website best practices. Glass Mountains were brought in to use our tried & trusted process to help redefine the information structure and user experience of the website. We wrapped all this up with a fresh, clean, design; one that made it as simple as possible for the audience to interact with the website. The website is fill responsive, working equally well on smartphones & tables. A key challenge with this project was that we had to create custom database export routines to allow the existing, sizeable archive of magazine related website content to be imported from the old websites, into the new, WordPress based platform. This saved the client a considerable task in terms of re-entering data. Visit the new WHQ website. Keep your businesses' website ahead of the game with the latest posts from the Glass Mountains team.